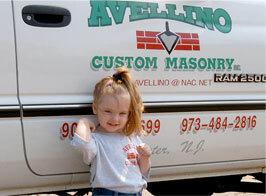 Avellino Custom Masonry, Inc., is a family owned business from Italy and has been in business for over 30 years. Our company has a reputation for excellent service, and we will be happy to give you references of jobs you can look at, and clients you may speak to. The combination of our knowledge, professional equipment and the finest materials will give you an expert job that will last for many years. We guarantee your satisfaction because our on-staff specialists eliminate the need for subcontractors. Avellino Custom Masonry, Inc., uses the state-of-the-art surveying and construction equipment so we can complete this phase accurately, efficiently and with minimal intrusion on the environment, you and your neighbors. Our comprehensive services include brickwork, stone work, curbing, concrete/interlock patios, walkways, retaining walls, fireplaces and all types of waterproofing/drainage problems. The intricacies of drainage, construction and material selection require attention to detail and expertise in masonry plumbing. Avellino Custom Masonry, Inc. combines dependability and art to create construction you will enjoy for years to come.